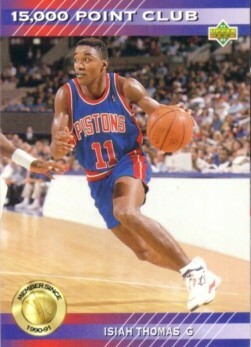 1992-93 Upper Deck 15,000 Point Club insert card of former Detroit Pistons superstar Isiah Thomas (#PC5). NrMt-Mt or better. ONLY TWO AVAILABLE FOR SALE.